Eunice Fay Cooper, age 66, of Leon, Iowa, the daughter of V and Virgie Verble Virgina (Davis) Tennyson, was born April 23, 1949, in Jasper, Arkansas. She died at the Decatur County Hospital in Leon, Iowa on Wednesday, August 26, 2015. Eunice grew up and attended school in Arkansas, then she started working at Tyson Chicken. 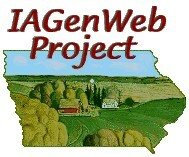 In 1970, Eunice moved to Grand River, Iowa. 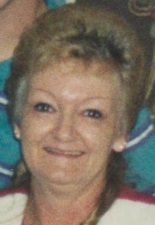 In the early 1980's, she moved to Leon, Iowa where she worked at C Mart and also Westview Acres Care Center. Over the years, she lived in several places in Decatur County including Pleasanton, Lamoni, and Davis City. She met Jackie Joe Cooper and was married to him in her Leon home on October 25, 1995. She worked a total of 19 years at Westview and retired in 2004. In her free time, she enjoyed gardening and landscaping, flower arranging, painting and decorating her home, and crocheting doll clothes. She also enjoyed watching reality TV shows and working jig saw puzzles. Preceding her in death were her parents; brothers, Sammie Tennyson and Tommy Tennyson; and infant sister, Stella Marie Tennyson. Survivors include her husband, Jack Cooper of Leon; daughter, Robin Proctor of Leon; son, Terry Kelly of Grand River; three grandchildren, Taylor, Jordan, and Kayla; brother, Rodney Tennyson and wife Jeanna of Alpena, Arkansas; nieces and nephews; and other relatives and friends. Burial will be in the Jasper Cemetery in Jasper, Arkansas at a later date.